We are delighted that our club has been recognised in the Golf World Top 100 Courses in England, straight in at 62nd on the list for 2019. By far one of my favourite courses I visited this year, the beautiful Formby Ladies Golf Club………. 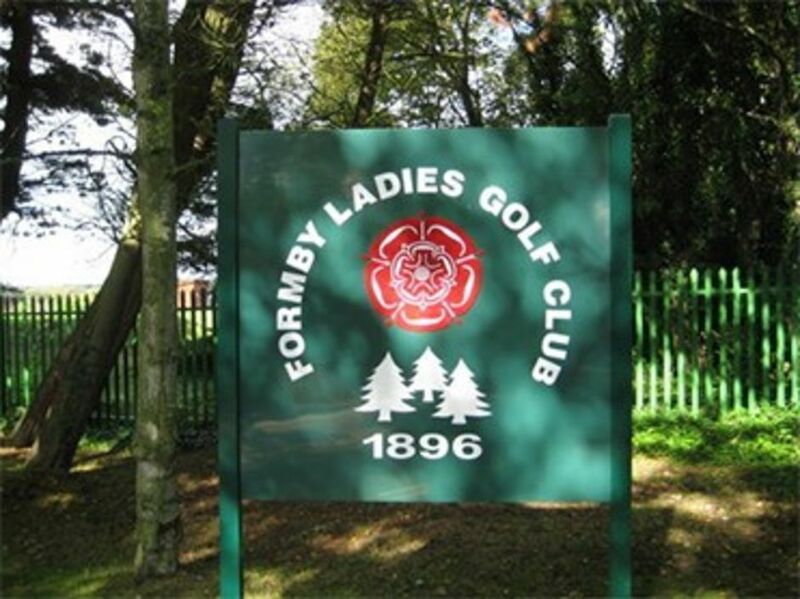 I am officially in love with Formby Ladies Golf club, what a place…..
A true hidden gem, if you get the chance to visit FLGC, I suggest you take it, like straight away….. The perfect way to spend a summer's evening. Some of the purest holes you could care to see. I'm just dropping a line to thank you all for a lovely day's golf last Wednesday. Our whole group really enjoyed your beautiful course and the welcome we received from staff, members and the pro shop. The lady members we met were so friendly and the afternoon tea was the icing on the cake! We shall definitely be back, if we are in the area again. Please pass on our thanks to all concerned. I would just like to comment on our recent visit to your club on Wednesday 2nd May. We had a lovely visit and I can say that you made us feel so welcome. The food and service we had in your club house was perfect. It probably doesn't need saying but you have a club to be proud of (maybe due to the fact no men are involved). Just wanted to say thanks for entertaining us yesterday. I was part of the Pierce group and we all had a delightful day. It’s a lovely course and everyone was so very welcoming. I guess it must have been 30 years or longer since I last played it. How very remiss of me. I understand we are already scheduled to play next year. Can’t wait. Also, I’d be inclined to say how playable it was on the 18th of December when many course resemble the Somme. Ron is an awful golfer but a great organiser and had booked hundreds of away days and events for us over the years (I’m bad at both btw) but Ron commented that having booked up for next year you had said “thank you for your custom’. Simple thing but Ron says that he can’t recall any other club ever saying that before. I am sorry I was unable to speak to you personally on Friday 15th. I just wanted to record our thanks and appreciation to yourself and staff for the magnificent welcome and services provided to us last Friday. Although I have played the mens course on a couple of occasions I had never had the pleasure of playing your excellent course until last Friday. We have traditionally played as a society (the last Friday before Christmas) for over 20 years at various courses in the north west namely Sandiway, Delamere, Vale Royal and local Mersey courses, however this year due to unfavourable weather conditions our course of choice (Sandiway) was closed and fortunately we ended up at your course. The course was in fantastic condition , we were met with a warm and welcoming greeting, food and service were first class, all in all a wonderful day and our sincere thanks to you. Just a quick line to thank you and all your great team at FL for everything yesterday. We really appreciated the way you were able to shuffle the catering and tee time arrangements around at short notice to ensure we could make the best of the day – although in the end, the weather was perfectly OK! The course was in great condition and presented its usual unique challenges to us wayward hitters! It’s the ideal venue for our end of season outing and I’m sure we’ll be back for another dose this time next year. All being well, I hope to be in touch with you early next year as usual. Thank you [😊] we had a lovely day for our 27th wedding anniversary- all the ladies & staff were very friendly & welcoming. We can't wait to return and use our vouchers. manner, made us feel very welcome immediately and the kitchen staff provided wonderful bacon sandwiches and coffee. Added to that we thought the course was in excellent condition and we played all 18 holes in glorious sunshine - what more could we have wished for? So a huge THANK YOU and please pass on our thanks to Elaine and the lovely lady and her staff in the kitchen. Please pass on our sincere thanks to all the ladies that helped us enjoy an really enjoyable day of golf and food at your wonderful club. We had a great time. Even though the weather was very grim to start with, the course was in excellent condition, the food was first class, as was the service from all the ladies that helped us. We are already planning on coming back to see you again next year, preferably a day during the last 2 weeks of March and wondered what days of the week we should avoid? Mr Dolce has since booked to return in 2018 - which is fantastic news!